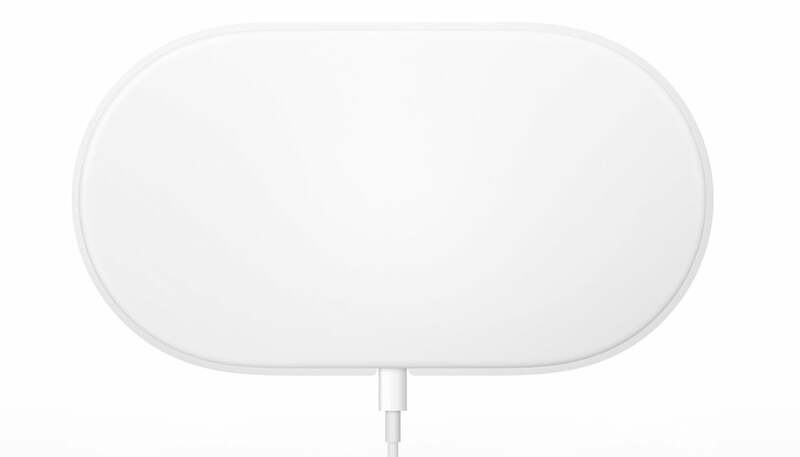 Apple’s new AirPower was a wireless charging pad to help clean up the mess of charging cables for your iPhone, Apple Watch, and AirPods. Apple unveiled AirPower at its iPhone X Event, but the company didn’t provide much detail. More than a year later, the project was killed. Updated 03/29/19: In a statement to the press, Apple has announced that AirPower is dead. In a statement to the press Friday, March 29, Apple’s senior vice president of Hardware Engineering Dan Riccio officially killed the AirPower project. “After much effort, we’ve concluded AirPower will not achieve our high standards and we have cancelled the project. We apologize to those customers who were looking forward to this launch. We continue to believe that the future is wireless and are committed to push the wireless experience forward.” So that’s that. See our roundup of the best wireless chargers for iPhone for alternatives to Apple’s now-defunct product. AirPower still on the way? Will the AirPower actually ship this year? If the recent rumors are to believe, it seems like it could. 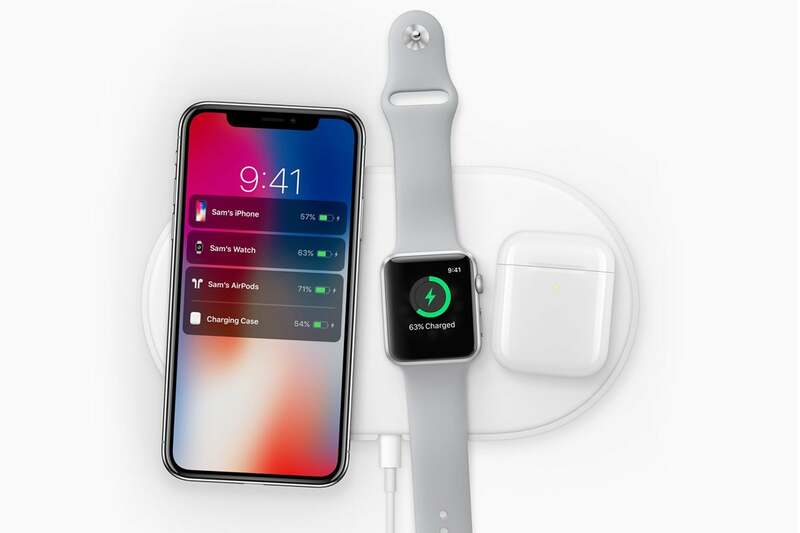 On December 31, 2018, developer Steve Troughton-Smith tweeted that he had heard that AirPower has been fixed. On January 11, 2019, ChargerLab tweeted that a “credible source” informed the site that Luxshare Precision (who manufactures Apple’s AirPods and USB-C cables) has started manufacturing the AirPower for Apple. Now there’s a report from DigiTimes saying that the device will become available later in 2019. No other details, such as price or device compatibility, have been revealed. Back in October 2018. analyst Ming-Chi Kuo says that Apple will release new AirPods in early 2019. The new AirPods will include a new redesigned case that supports wireless charging. That could mean the AIrPower wireless charging mat could be released at the same time—though we should clarify that Kuo does not specifically mention AirPower in his report. AirPower is a wireless charging pad. There are several wireless charging pads on the market, but before the iPhone 8 and iPhone X, you had to use a special case with your iPhone in order to use a wireless charging pad. AirPower works without the need of a special case. Just plop your iPhone on to the AirPower pad, and it starts charging. No need to plug in your iPhone. How does the AirPower work? Place the AirPower pad on your desk or wherever you like to charge your devices. Then plug it into a power outlet. To charge your device, just place it on the mat, with front facing up. That’s it. To get a little but more technical, AirPower uses induction, where an electromagnetic field is used to transfer power from (in this case) the AirPower to a device. When you place your device on the AirPower, it receives a signal from the pad to basically ‘handshake” with the device (checks for compatibility, charge capacity, etc). If everything checks out, charging proceeds. Can my iPhone work with AirPower? Only three iPhones work with AirPower: iPhone 8, iPhone 8 Plus, and iPhone X. These iPhones not only have glass backs (as opposed to the aluminum backs of the iPhone 6 and 7), but they also have the hardware support to charge wirelessly. Can my iPad work with AirPower? The current iPads (as of September 2017) are not compatible with AirPower. It seems as though a glass back is required, and a glass back as big as one for the iPad would be expensive, heavy, and perhaps too fragile to use. Can my Apple Watch work with AirPower? AirPower works with the Apple Watch Series 3. Can my AirPods work with AirPower? Apple has not release details on the new AirPod case. As of this writing, the new case isn’t on the company’s website. Can my MacBook laptop work with AirPower? No. AirPower is designed to work with the iPhone 8, iPhone 8 Plus, iPhone X, Apple Watch Series 3, and the new AirPods case. Can my Beats earphones work with AirPower? Can my non-Apple Qi-compliant device work with AirPower? Apple said it was working on the AirPower to be Qi-compliant, and if/when this happens, this could mean compatibility with non-Apple Qi-compliant products. But we don’t have confirmation yet. The iPhone 8 and iPhone X are compatible with the Qi wireless charging standard and can be used with Qi chargers like the Belkin Boost Up ($59.95 on Amazon) or the Mophie Wireless Base. Can the AirPower fast-charge my iPhone? Apple has not released specifications on AirPower, which would include the charging rate that the AirPower works at. The Qi specification supports fast charging at 15 watts. The rate at which AirPower works at has not been disclosed. So it remains to be seen if it can support fast charging. According to a report from MacRumors, iOS 11.2 will change the wireless charging performance from a maximum of 5 watts to 7.5 watts. While that’s not as fast as some other fast chargers, it’s faster than the included iPhone adapter. Apple has not released price information about AirPower. When will AirPower be available? Apple has only said that AirPower will be available in 2018. See The Latest above for the most recent rumors about a possible ship date, but it might not arrive at all. Where can I buy AirPower? You’ll be able to buy it on the online Apple store, as well as your nearest Apple retail store town square. Also check authorized third parties, such as Best Buy.